What makes one person an employee and another person not an employee? The work the two people do may be similar, but that doesn't make the distinction. How a person is paid has a relationship to the employee vs. non-employee classification, but pay comes after the distinction. In general, anyone who performs services for an organization is an employee if the organization can control what will be done and how it will be done. What is a Non-employee? What&apos;s the opposite of an employee? A person may work for a business and not be an employee. In this case, the person is considered to be an independent contractor in relation to the other party, and he or she is self-employed. That is, the relationship between the two parties is between two businesses, one of which is providing a service to the other. For example, if you work as a graphic designer for another company on a per-project basis or you and a team clean the offices of another company, you are considered to be an independent contractor, not an employee. The 3 Criteria the IRS Uses to Define "Employee"
First, it's important to remember that the IRS assumes that a worker is an employee unless it can be proved that this person is not an employee (that the person is an independent contractor). For tax purposes, it's important to know whether a worker is an employee. By "tax purposes," it means whether federal (and state) income taxes must be withheld from the person's pay and whether the employee and employer must pay FICA taxes (for Social Security and Medicare benefits). In these circumstances, the opposite of an employee is an independent contractor. Whether you are an employee or an independent contractor, you must pay income taxes on all of your income, and you must pay for social security and Medicare taxes. But how these are paid and the amount differs between the two entities (employee vs. non-employee). Taxes for an Employee: By law, an employee must have federal and state income taxes withheld from his or her pay. In addition, FICA taxes must be withheld from the employee's pay and the employer must also contribute to those taxes, on behalf of the employee. 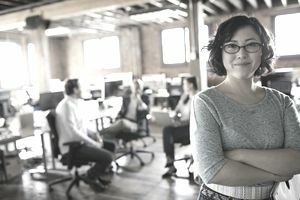 Taxes for an Independent Contractor: An independent contractor is not an employee, but is someone in a separate business from the hiring company. No income taxes are withheld from payments to an independent contractor (in most circumstances), and no FICA taxes are withheld from these payments nor are they due from the hiring company. The issue, in a nutshell, is that some employers hire workers and call them "independent contractors" to avoid paying the FICA taxes on the worker's income. But that decision can have negative consequences. If you hire workers and call them independent contractors (a common occurrence), and the IRS investigates or the workers complain, you as the employer could be liable for back taxes and fines and penalties. What if You Aren&apos;t Sure if a Worker is an Employee? Each employment situation is different, and you may not be sure if your workers are employees or independent contractors. You can get a determination from the IRS by filing an SS-8 form. They will review all the relevant circumstances in the case and make the decision.